Get the beautiful straight teeth you've wanted! 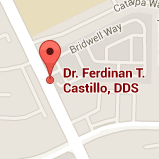 Castillo Dentistry has been serving Hayward, CA and the San Francisco Bay Area counties since 1992. Drs. Ferdinan T. Castillo and Regina Pacia Castillo are dedicated to providing exceptional dentistry to help you maintain your beautiful smile and keep your mouth as healthy as possible. Excellent dental health can only be achieved by excellent dental care. We help make this possible for you by providing a full range of dental services that include oral hygiene, tooth restorations, dentures, extractions, root canals, periodontal treatments, and TMJ/TMD therapy. 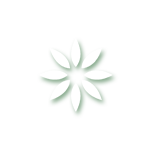 All these require from our doctor rigorous training and considerable experience in the discipline of dentistry. Not only do we perform all the basics in dental treatment, but we also provide the latest innovations in dentistry, such as Invisalign® and traditional orthodontics, Lumineers®, and Sapphire™ teeth whitening. Our office also has the latest in digital imaging from digital X-ray technology to iTero® digital impressions. We look forward to seeing you and helping you with your dental needs. Please contact our Hayward dental office to schedule an appointment today!